Nothing tastes better with a roast chicken on a cold night than hot, fresh popovers. In fact, they go great with just about any roasted meat dish: we love them with pot roast, chicken, and even Thanksgiving turkey. Tearing them apart and mopping up gravy makes dinner cleanup both simple and scrumptious! Years ago, I consulted my close personal friend Betty Crocker for an easy and reliable recipe. This is pretty much it, although I have reduced it by half. I think Betty must have cooked for a lot more people than I ever do. 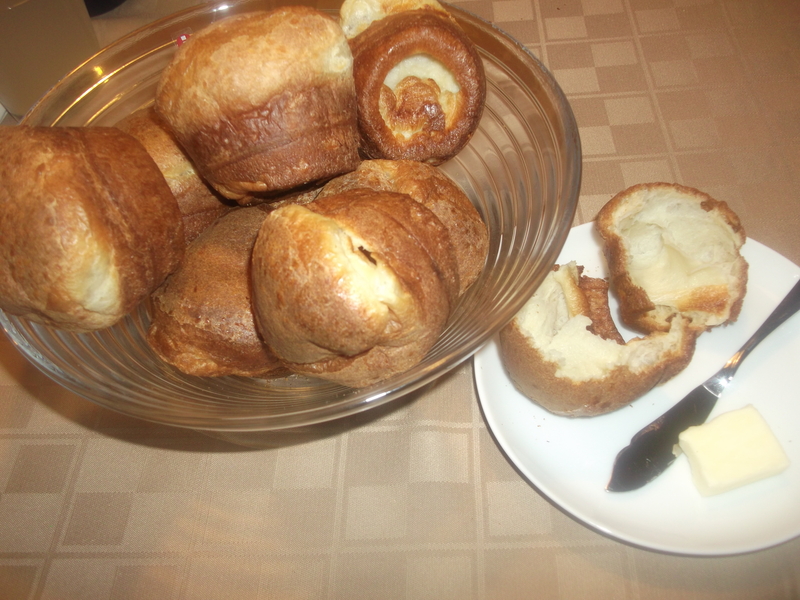 Note: these are called Yorkshire Puddings in the UK, so I added that to the title of this post so the recipe can be found under either alias. Heat oven to 450 F and place oven rack in the middle position. Generously spray muffin cups with cooking oil. In a small bowl, whisk the eggs. Add milk and whisk well to combine. Stir in the flour and salt and mix just until smooth. Do NOT over mix. 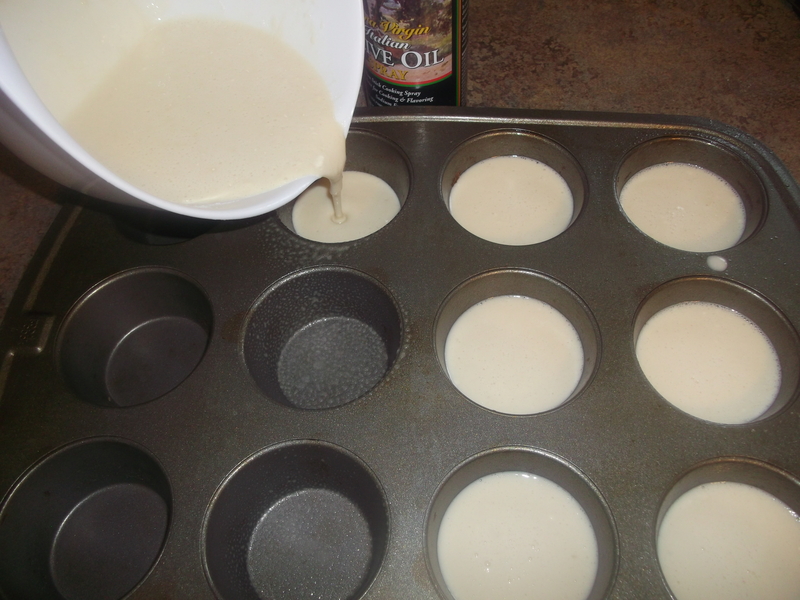 Pour the batter into the muffin cups, about 1/2 to 2/3 full. 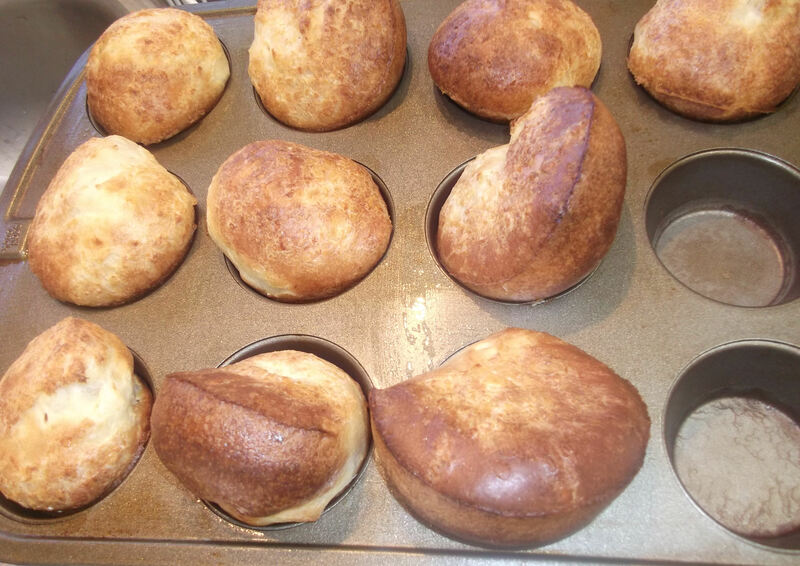 Bake for 25 minutes at 450 F, and then lower the temperature to 350 F and continue baking 10-20 minutes until the popovers are a deep golden brown. Immediately remove from pan; serve hot. These require only four ingredients! Having the milk and eggs at room temperature is important. I can’t remember why, but it’s true. Eggs: Fill a large bowl or measuring cup with hot, but not boiling, water. You don’t want soft-boiled eggs, just warmer ones. Place the eggs gently in the water. By the time the oven is preheated and all the other ingredients are measured out and ready to go, they will be warm enough to use. Milk: Pour the milk into a microwave safe measuring cup and heat it in the microwave for about 10-15 seconds at a time, stirring after each heating, and using your finger to determine the temperature. You don’t want it hot, just warmer than it was in your refrigerator. I spray six cups to start with, then spray more once I get an idea of how many I’ll actually use. The eggs should be all warmed up by now. 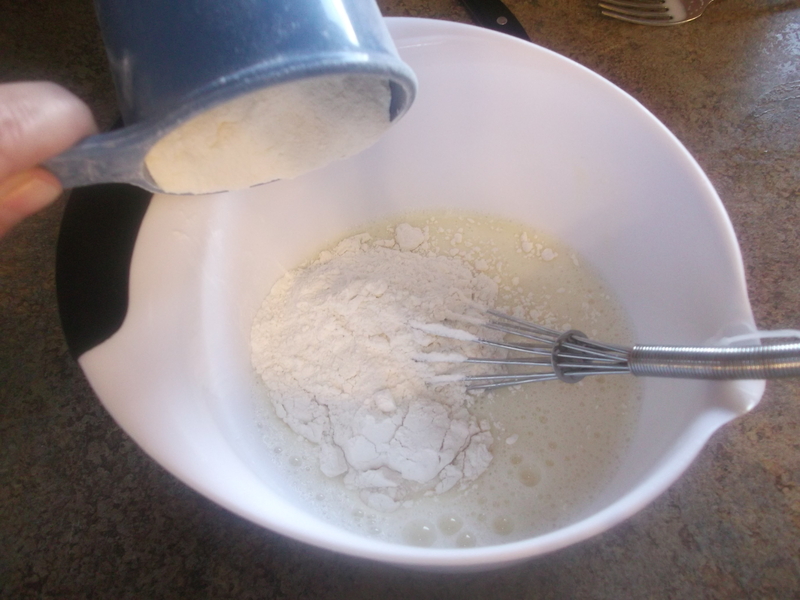 Crack them into a small bowl and whisk them until they are well blended. It’s okay to go a little crazy here. Add the milk and beat well to combine. Again, feel free to really mix them well, because once you add the flour you have to be gentle. 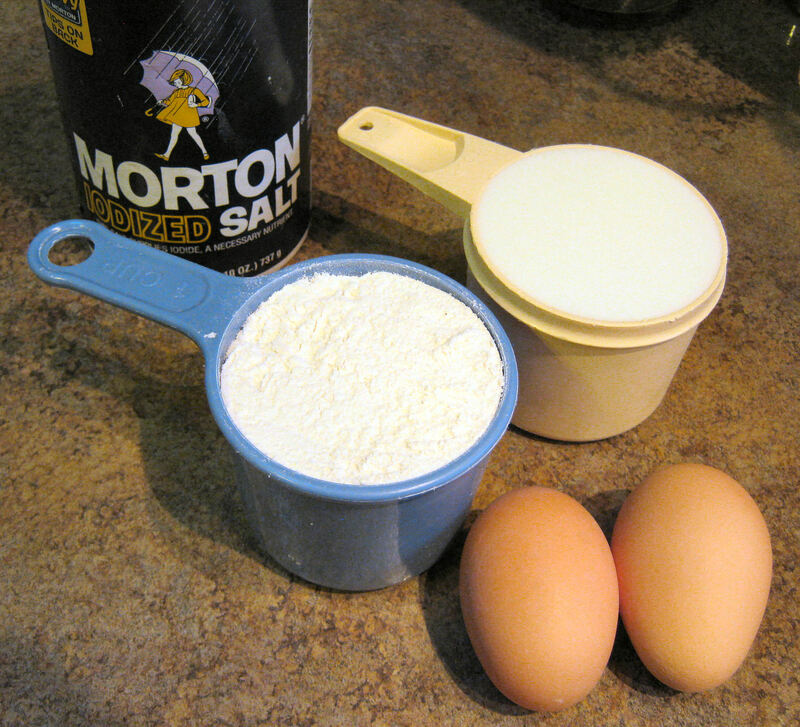 Add the flour and salt. Whisk just until smooth. Do NOT over mix. Why? Simple math: liquid + flour = gluten. Gluten holds baked goods together, but too much gluten makes them tough. The more you mix the batter, the more gluten will form, and the more likely your popovers will be tough and won’t “pop” up. Blech. 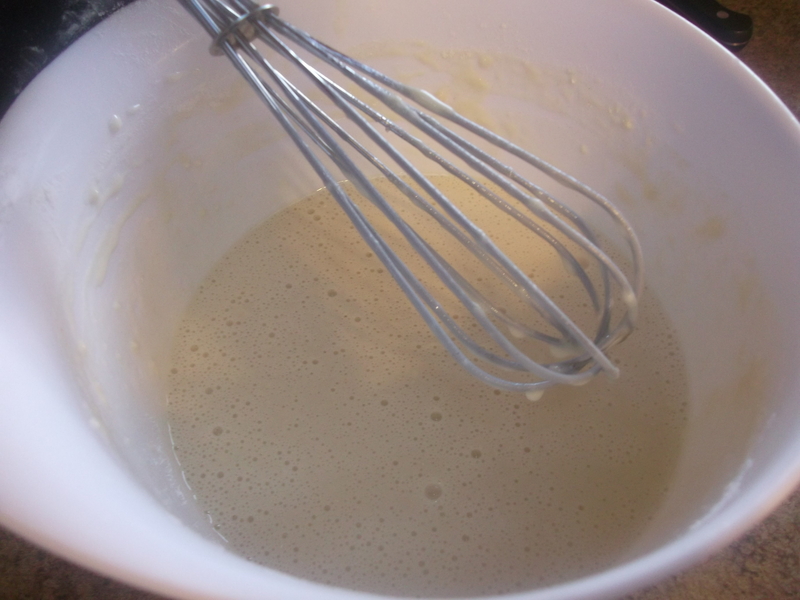 Lift the whisk out of the batter. If it has big lumps, keep whisking. 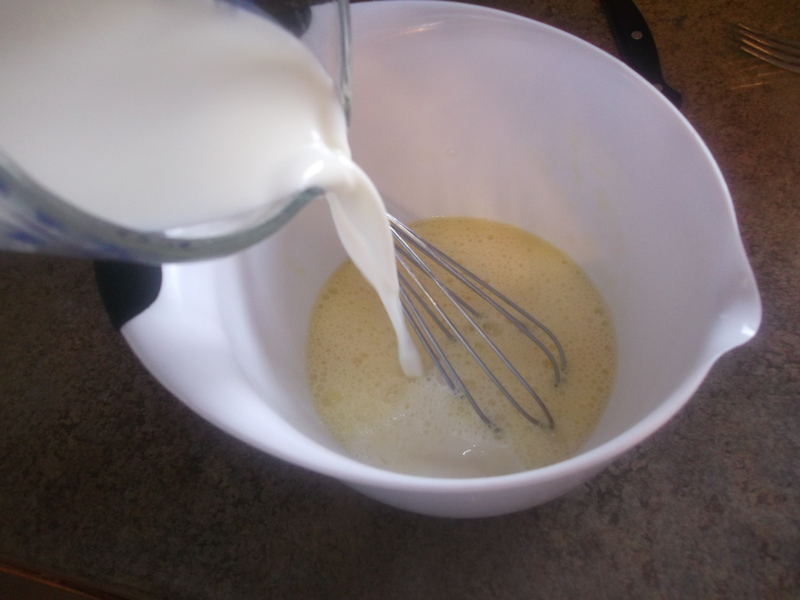 When the batter is mostly lump free, stop whisking. Pour batter into muffin cups, half or two-thirds full. Decide now if you want smaller popovers, but more of them (fill cups half full); or larger popovers, but fewer of them (fill cups two-thirds full). Whatever you decide, make sure all the cups are filled the same amount. 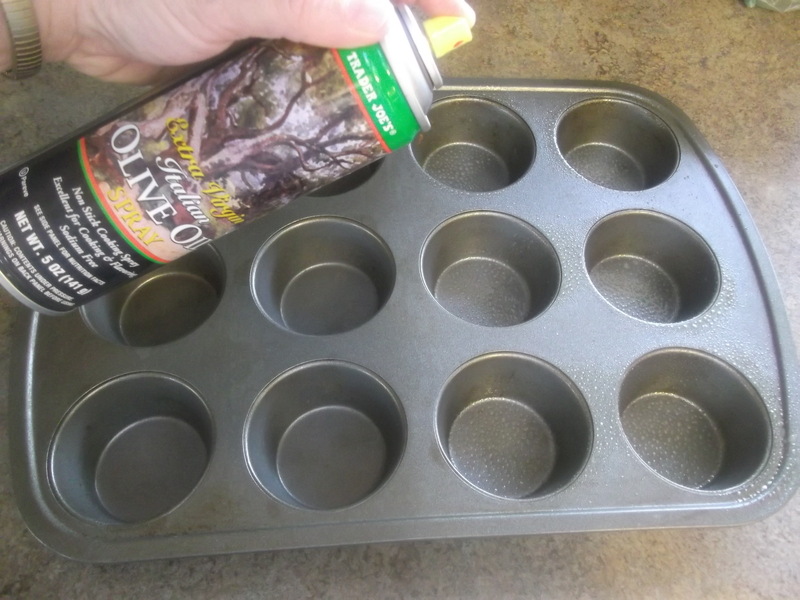 Wipe the top of the muffin tin to clean up any spilled batter or cooking spray. You don’t want that stuff baking onto the muffin tin. It will get gummy and sticky and does not wash off easily. 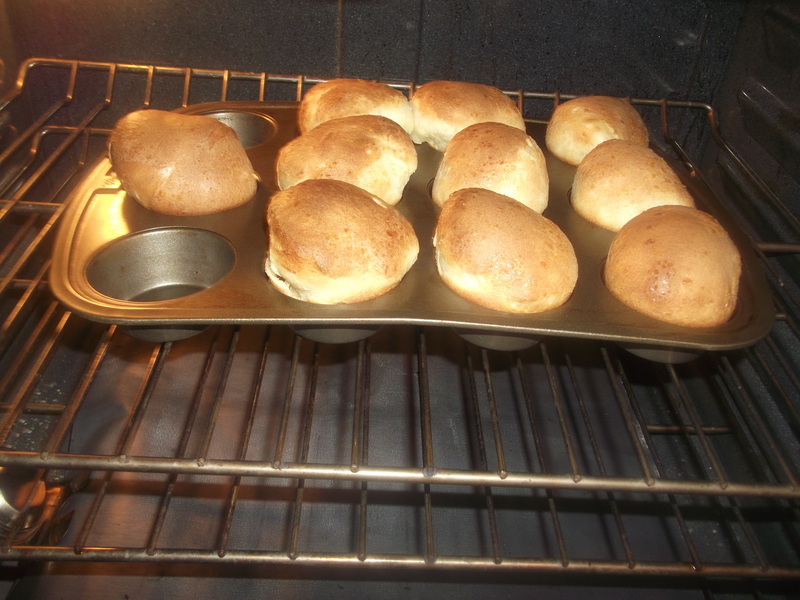 Place the filled muffin tin in the oven, on a rack in the middle position, and bake for 25 minutes at 450 F. Do not open the oven during this time. Peek through the window, if you must, or just trust that the popover magic is really happening, and just wait. After 25 minutes, lower oven temperature to 350 F. Continue baking at 350 F for 10-20 minutes until deep golden brown. It’s okay to peek once in a while now, to check the color. Sometimes you get some really funny-shaped ones. Remove from the pan right away and serve hot. Enjoy! Diane, you should try adding a little cinnamon or nutmeg to give it a bit of extra flavor. I make these at work all the time. I love that idea – especially the nutmeg! Diane, Great recipe, popovers are so good this time of year. I fixed them this evening, made the dinner special. So nice to hear that, Mary. They are so simple to make yet really dress up the dinner table, don’t they? Ok, you’ve convinced me….I have to give these a try. I’ve had my eye on a fancy popover pan, but who knew a regular muffin tin would work just fine?!?! This is on the menu for later this week. Supposed to be pretty cold and dreary here by Wednesday or Thursday here in the Cities. Comfort food at its best! You might get smalller popovers in a muffin tin than the fancy pan, but you’ll get more, too!